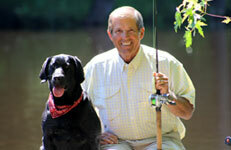 Quiet, fuel efficient, clean power for today’s electronic devices, in an easy to carry, 36lb. package. Dual handles and only 36.4lbs. Enables two units to be connected together for even more output. Quieter than casual conversation, only 54db @ 25% rating, with isolating motor mounts for minimal vibration. The right combination of power and portability for a wide range of activities and devices. Lightweight (53.3 lbs. ), easy-grab dual handles and compact design for easy storage. 3000 watts of quiet, clean power, plus electric start convenience and long run time. Simple transport with locking 360 degree pivoting wheels. Easy electric start for minimal effort. Quieter than casual conversation, only 56db @ 25% rating, with isolating motor mounts for minimal vibration. It’s light. It’s quiet. It’s reliable. 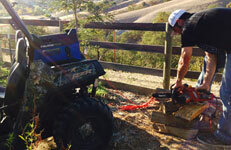 Those are the qualities of Polaris Power Generators most appreciated by outdoor users. 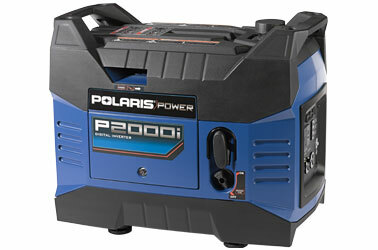 I’ve used my Polaris Power Generator at deer camp under cold and snowy conditions and my family brings Polaris Power to the ice fishing house. It works great. Enough said. 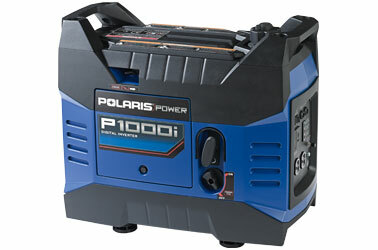 Since the first day we received the Polaris Power P2000i we have put it to the test and it has proved to be invaluable. From powering studio lights on location to running power tools at the racetrack and everything in between, the P2000i has performed flawlessly. It now goes everywhere we do and gets constant use. It’s a tough little unit as well, taking some drops and tumbles on the trail without missing a beat. 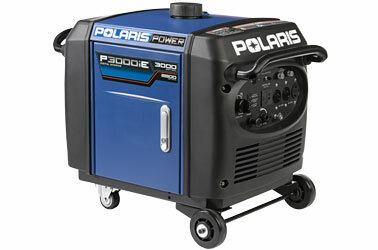 I was really happy to have received the Polaris generator as a gift. Not only do I use it at every race for my power tools, or as a back-up for my motorhome's generator, but I also use it all the time at home. © 2014 Polaris Industries, Inc.